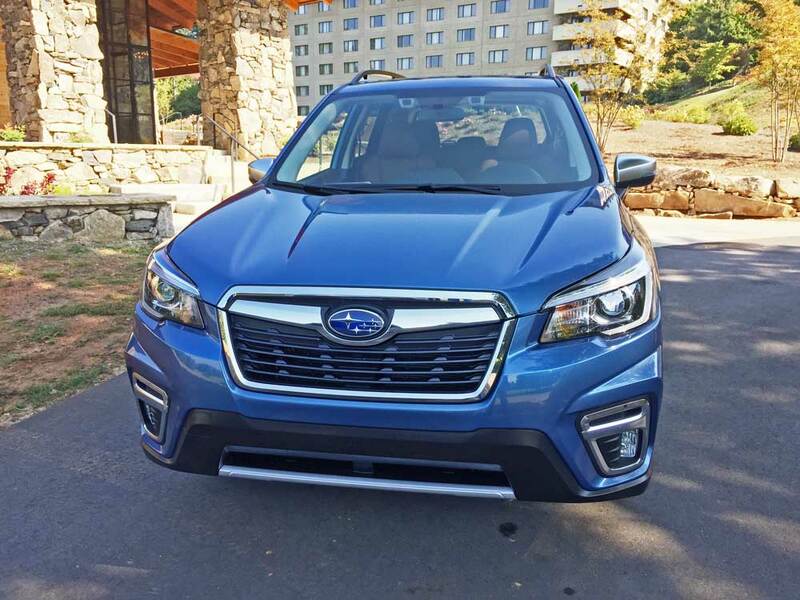 First introduced more than 20 years ago, Subaru of America Inc. debuted their all-new for 2019 Forester SUV at the 2018 New York International Auto Show. This fifth generation Forester is without question the most capable and roomiest to date, and is based on Subaru?s Global Platform, delivering improvements and enhancements in virtually every respect. 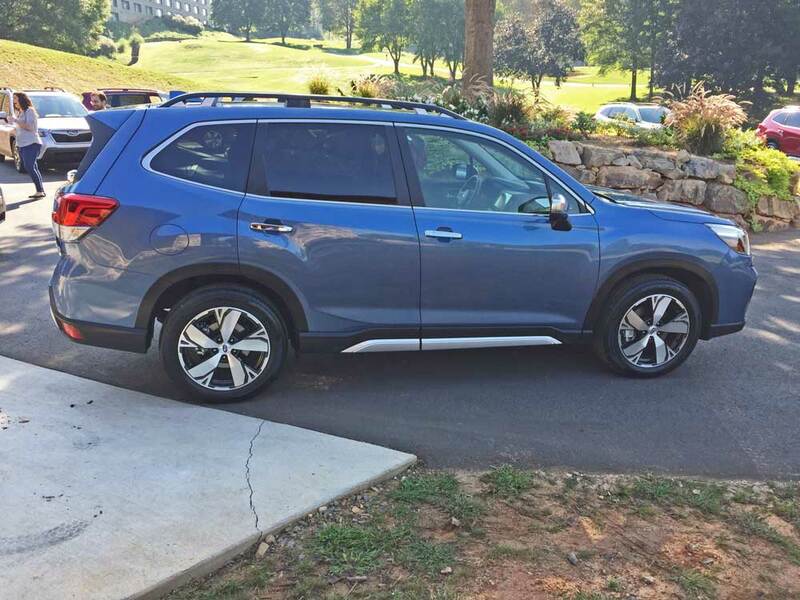 The 2019 Subaru Forester is available in five distinctive levels of trim: the base or standard Forester; the Premium Forester; the new Sport trim level Forester, featuring unique styling cues inside and out, and the upscale Limited and Touring models. The all-new Forester is a versatile five passenger (or six friendly passenger) SUV that bows with groundbreaking new safety technologies such as Driver Focus, which helps reduce distracted driving by identifying signs of driver fatigue and distraction. This segment-exclusive system is standard on Touring trim Foresters. Virtually every part, except for a few random nuts and bolts is all new for the venerable Forester, which is based on Subaru?s stiffer global platform architecture with new bracing to fortify the front suspension. 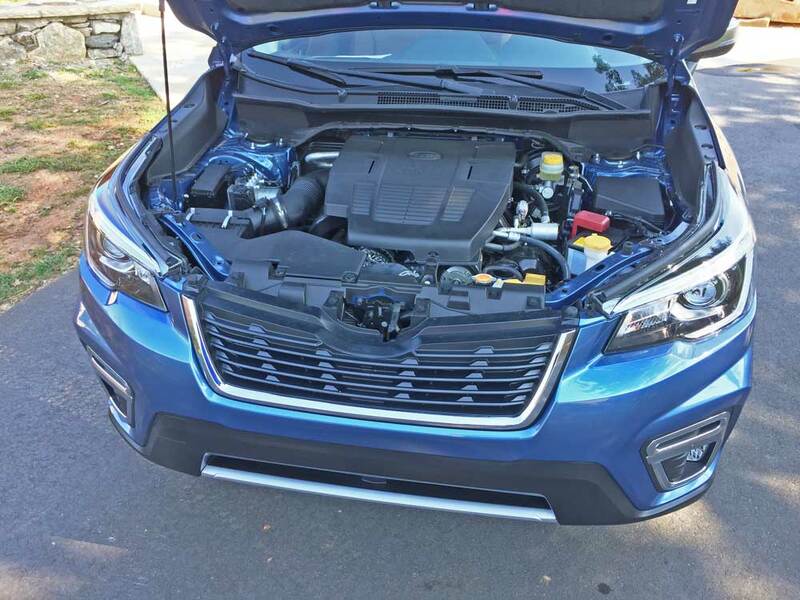 The source of propulsion for the new Subaru Forester is an enhanced 2.5-liter, DOHC, 16-Valve, front mounted, horizontally-opposed (BOXER) flat four-cylinder engine with electronic throttle control that now features Direct Injection. The horsepower rating is 182 at 5,800 rpm, while the torque is rated at 176 lb.-ft. at 4,400 rpm. Motive force reaches all four wheels of Subaru?s Symmetrical All-Wheel Drive via a Lineartronic? Continuously Variable Transmission with a manual shift mode and steering wheel paddle shift control switches for driver selectability that simulates 7-speeds. This is now the only powertrain available ? a turbocharged version engine is no longer available, nor is a manual gearbox. The 2019 Forester displays a rugged style showcasing Subaru?s new design language while retaining a strong family resemblance to the rest of the brand?s lineup. The exterior?s shoulder lines follow around the pillars emphasizing height and strength along with prominent wheel arches. Front, side and rear underguards are standard on all models. with color finish according to trim line. New LED headlights are standard for all trims, complementing the brand?s signature hexagonal grille. All Forester models feature lower body side cladding, which helps protect against mud, rocks and other road debris. Roof rails are standard on all but the base model. 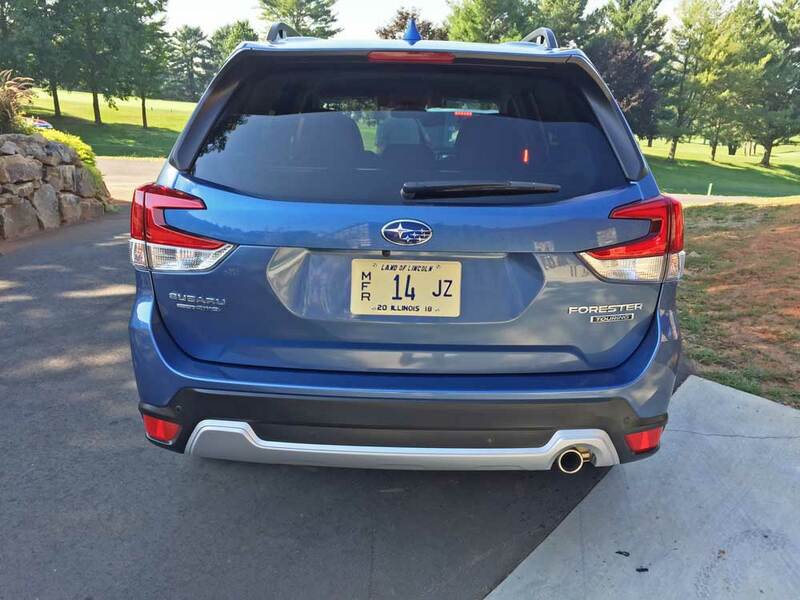 The new 2019 Subaru Forester is not dramatically different from its predecessor, and a close study is necessary to note the variances, which are not readily apparent simply at a glance. 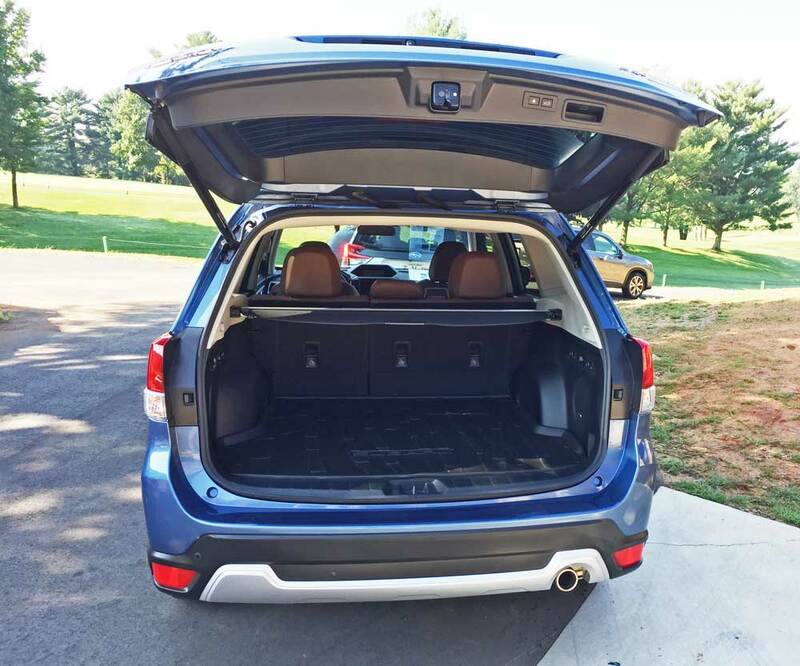 Changes in packaging yield an additional 1.4 inches of cargo space and rear seat legroom, and the maximum width of the rear gate opening has been increased by 5.3-inches over the previous model. Additionally, the new Forester is now less than an inch longer and wider than the vehicle that it replaces. Subaru?s focus has shifted from performance to safety, touting its standard symmetrical all-wheel drive system as a necessity for winter climates and conditions, as well as the inclusion of their EyeSight driver assistance system as standard fare for all trim levels. The 2019 Touring is the most luxurious Forester yet, with standard and exclusive features. A worthwhile plus feature for top-of-the-line Touring models is the segment-exclusive DriverFocus distraction mitigation system that is able to identify signs of driver fatigue or driver distraction by delivering an alert in the form of an appropriate audio voice warning, as well as automatically adjusting many driver settings at start-up. 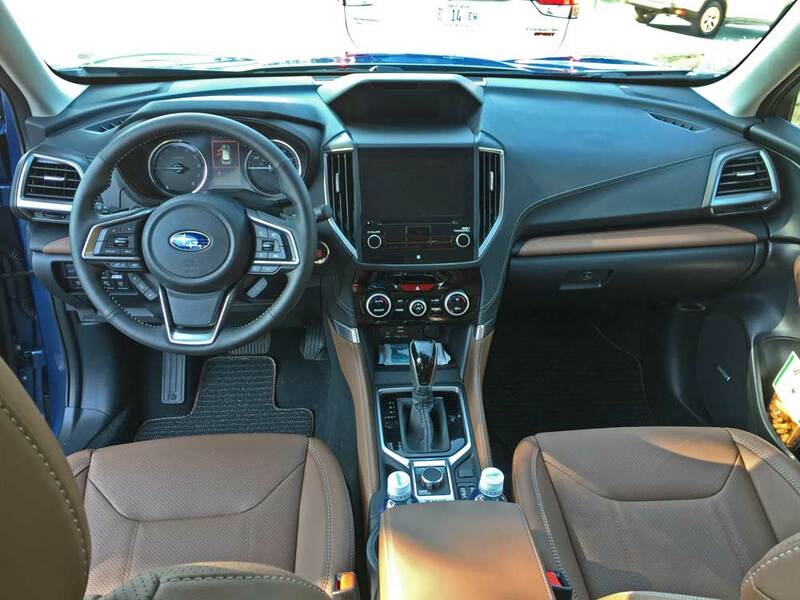 The front seats are both comfortable and supportive, and outward visbility is excellent. A Panoramic moonroof serves as another desirable feature. 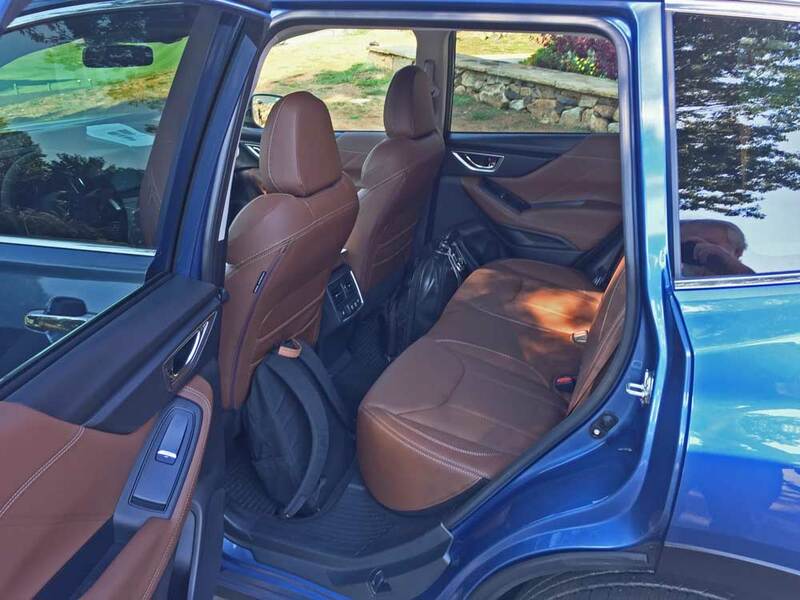 The material used for the cargo area floor, sides and rear gate interior trim offer a textured surface to resist dirt. The robust material also resists scuffing. The cabin is the roomiest and quietest yet. Subaru?s latest touchscreen STARLINK multimedia system handles connectivity and there?s an available in-vehicle Wi-Fi hotspot that provides internet access via high-speed LTE? communications, and Apple CarPlay?, Android?Auto and Sirius XM? All-Access Radio are included as standard features. A standard driver-selectable SI-DRIVE is a powertrain performance management system that allows the driver to tailor the vehicle?s throttle characteristics by selecting either an ?Intelligent? or ?Sport? mode, adding more flexibility for driving conditions. A new power rear lock button is available on the rear liftgate that closes and locks the gate and all doors. 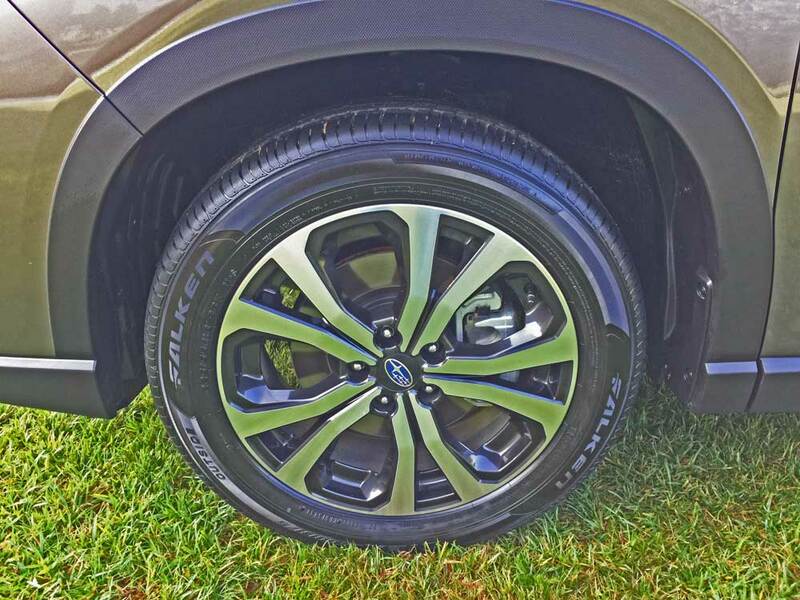 Forester provides 8.7 inches of ground clearance, which is more than most competitors, while maintaining an easy step-in height. 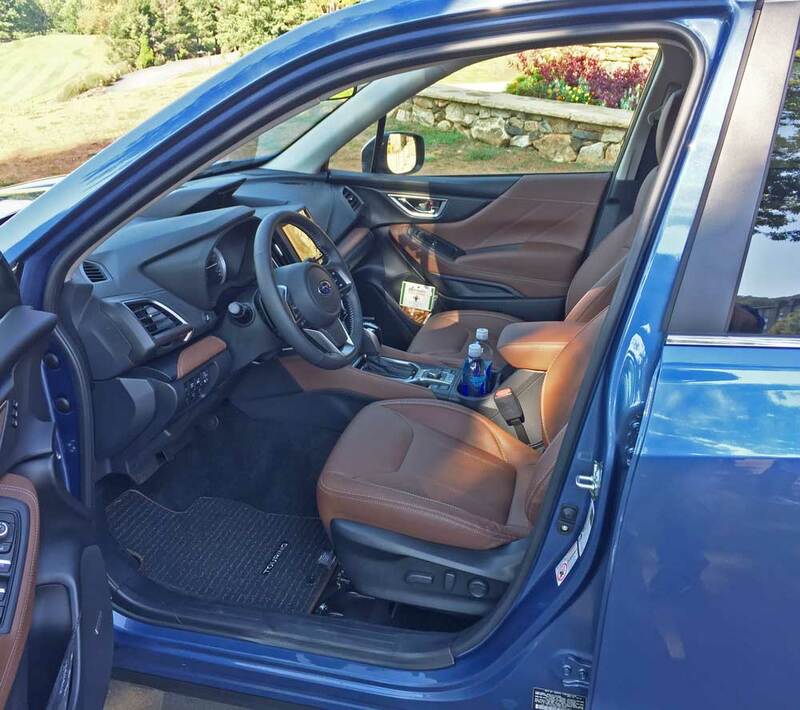 During the national press launch of the 2019 Subaru Forester, my driving partner drew a loaded Horizon Blue Pearl finished Touring model with a Brown and Charcoal interior. Full pricing info was not available was not available at the time, but I was later able to test a Touring model at home with the new exterior finish of Jasper Green metallic. Its base sticker read $34,295., which came to $35,270 after adding the destination and delivery charge. 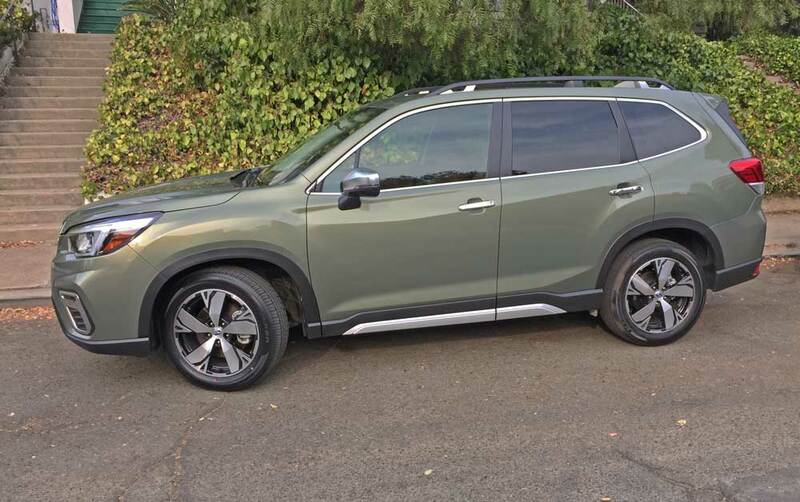 The 2019 Subaru Forester Touring model truly epitomizes Subaru?s tradition of providing an optimal blend of SUV capability with car-like ride comfort and sporty, capable handling characteristics. Admittedly, the old turbo engine delivered a moir? brisk performance, but the enhanced 2.5-liter direct injected four-banger delivers a substantial amount of power that will serve the majority of buyers well for its intended purpose. The 2019 Subaru Forester Touring is a go anywhere in any kind of weather vehicle that guarantees safe, comfortable, transport for personal adventures along with the improved EPA fuel economy rating of 26 mpg city and 33 mpg highway for travel that won’t break the bank. 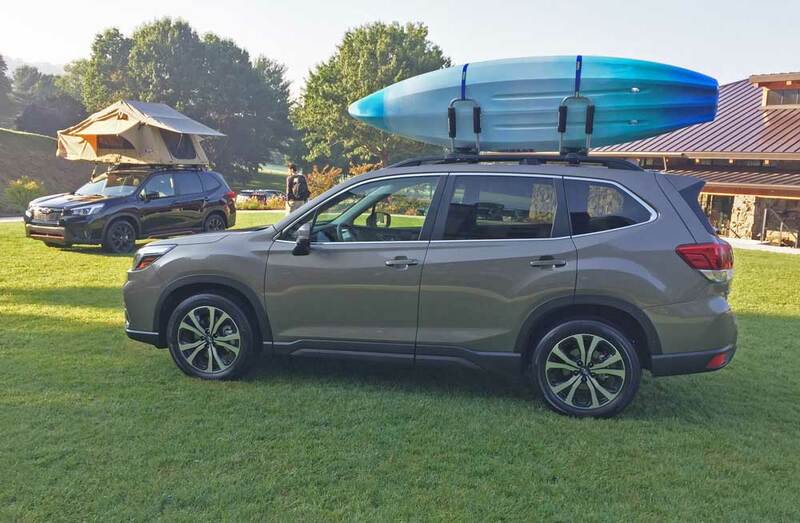 Adding to the Forester?s appeal and answering the call to adventure is a host of accessories geared to enhancing lifestyle activities. One of the coolest accessories is a $1,300. 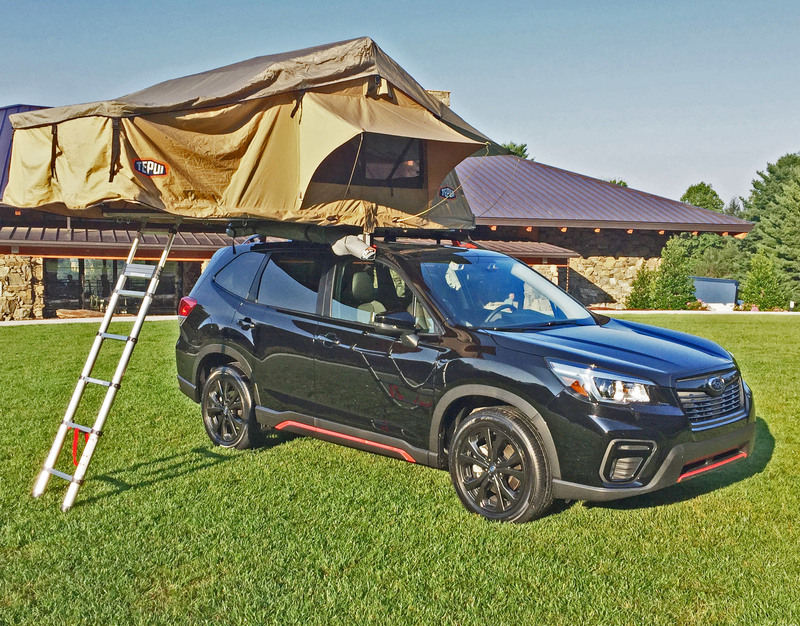 tent with a platform that attaches to the Forester for real on-site camping convenience. Engine Type and Size: 2.5-liter, DOHC, 16-Valve horizontally-opposed (BOXER) with Direct Injection and electronic throttle control. Transmission: Lineartronic? CVT with driver selectable 7-speed manual shift mode and steering wheel Paddle Shift Control switches. Drive Train: Flat four Boxer front mounted engine / Symmetrical All-Wheel Drive. Rear – Double wishbone, coil springs and stabilizer bar. Brakes: Power-assisted 4-wheel disc with Electronic Brake- force Distribution and 4-channel / 4-sensor ABS with Brake Assist and Brake Override safety systems;Active Torque Vectoring; Auto Vehicle Hold; Electronic Parking Brake, VDC, Traction Control and rollover sensor. Tires: Falken Ziex 225/5 R18 98H all-season mounted on 5-geo spoke alloy wheels. Happy 30th, Mazda MX-5 Miata!